Engineered hardwood flooring is a type of flooring. In its natural form it does not exist in nature and this type of hardwood is produced at special plants. The manufacturers of this type of floor are doing a lot of work to produce it. The structure of this material consists of several layers: hardwood, plywood, fibers, and veneers of wood, and they are glued to each other. The top layer of engineered floor is absolutely natural wood. It has a thickness of 1/8 to 1/4 inch and can include any type of wood. Engineered hardwood flooring is very popular. This is because this type of floor has only part of a natural wood, and this allows it to adapt to its environment quickly. By “environment” I mean the room temperature and humidity. I think you’ve seen the picture of when a whole layer or piece of wood changes its shape depending on the amount of moisture or dry air. So, if you install engineered hardwood flooring in the room with high humidity, very dry air, or where these conditions change frequently, then you expect less unpleasant surprises. That is why this type of flooring is often installed in basements. A second advantage of engineered hardwood flooring is the width and length of the boards. Typically, the width and length of the boards of this type of flooring is much more than others. This allows you to install a large floor area for the same amount of time. In addition, wide and long boards visually increase the size of the room. And yet, you can meet the narrow sides of this type of floor. Compared with the installation of another type of floor, engineered hardwood flooring installed more quickly and easily. It can be installed on concrete, and the wooden subfloor. 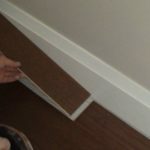 The most popular installation method for it is glue down or you can install it as a floating floor. 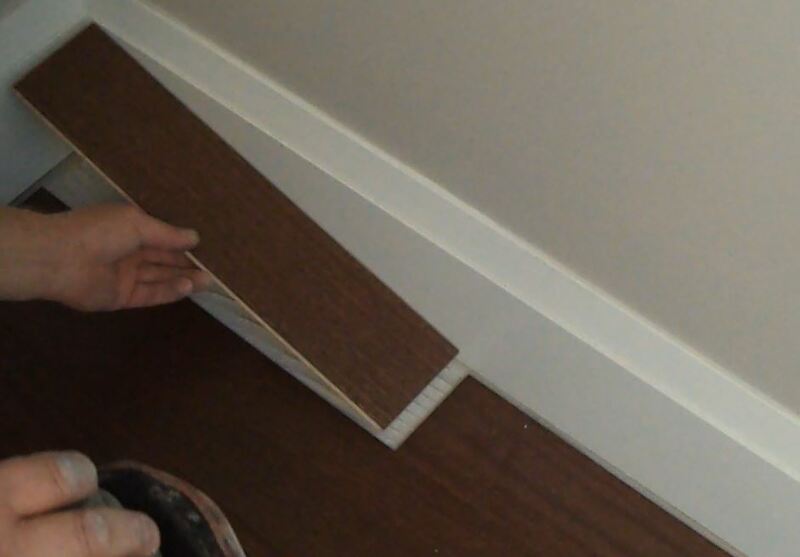 When you need to make sound insulating barrier between floors – the best floor for it is engineered hardwood flooring. To do this you need an extra layer of underlayment. If you want to increase sound insulation, then use a cork underlayment instead of regular and method installation – double glue down. Along with the advantages,engineered hardwood flooring has its drawbacks. Wide boards are always more waste at the time of installation. Therefore, you should buy 10% or even 15% extra material, especially if you do it by yourself. If your hardwood lost the look eventually and you have decided to renew it, then you have only a limited amount of time for refinishing. Due to the fact that sanding machine cut 1/8 inch of the top layer of engineered hardwood flooring, each time it reduces the layer of wood, which is very narrow. I just remind you the sickness of natural wood is from 1/8 to ¼ inch. What you need to know more about engineered hardwood flooring, is it can be prefinished, ready to install and has beautiful finished look. But if you want to choose your own color for the flooring, you can install an unfinished kind of floor and use one of the stains. For more tips on engineered hardwood flooring visit other pages on this site.